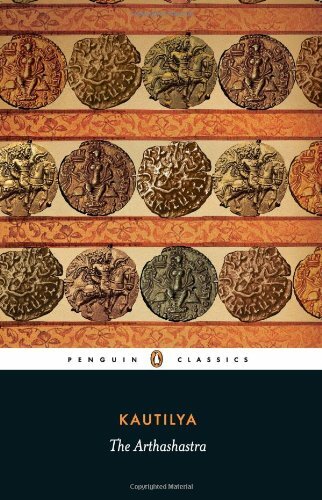 Kautilya was a third-century Indian political scientist, a strategist of the Mauryan Empire, and had envisioned asymmetric war in his treatise Arthashastra. He emphasized peace and security as necessary conditions for its protection and growth. Clausewitz was the 19th-century Prussian general who was first to codify the essence of war-fighting in the cognitive domain during the era of the Industrial Revolution. Insurgency, by its very nature, is driven by the political goals of the insurgent group or a foreign state sponsoring the movement, or both. Insurgents use a combination of various means such as terror attacks, hit and run tactics, mobilization and systematic use of civil society groups to exploit legal mechanisms (e.g. Naxal Insurgency in India) to undermine the existing social and governmental institutions in every possible way. This sort of strategy sometimes falls under a realm where peace seems to exist at the superficial level while the disturbance continues to remain within. Both Clausewitz and Kautilya aim to nullify this weakening effect through a series of actions. For them, the primacy of political leadership remains unchallenged and all other elements of the state, i.e the military, the civil administration, and their policies, revolve around the populace, acting as a center of gravity. Hence, any form of conflict between the insurgents and the ruling monarch or the elected government takes place around this center of gravity. The struggle for each side of an insurgency is to maintain legitimacy by dismantling the other through a combination of different strategies and tactics. In such scenarios, the dominance of a counter-insurgent force depends on the quality of intelligence available, the ability to conduct effective information operations, a suitable force structure, and special operations. In his treatise, Kautilya laid emphasis on using the strategy of conciliation through the award of concessions and perks to the belligerents in order to contain an internal security crisis. Failing that the authorities must resort to the use of brute force to subdue the rebellion. In modern time, the practice of governments has been to set up special forums, strategic settlements, and to devise rehabilitation schemes for the insurgents to join the peace process and reintegrate into the mainstream. If those practices should fail, then –– like Kautilya –– military force is applied. However, for effective counterinsurgency operations prior intelligence is imperative. Kautilya recommended the use of an extensive network of spies for the purpose of source cultivation, information collection, and deception operations. Additionally, he emphasized using spies to spread dissension among insurgent groups to weaken them internally. Clausewitz likewise understood the dynamics of intelligence operations at the tactical level and stressed that the commander’s experience and rational decision-making ability should guide the operation while keeping the ambiguity of intelligence in mind. This is because, in a typical counterinsurgency situation, the information gathered may or may not be accurate, given the fact that the local source remains under pressure for allegiance from both the government forces and the insurgent group. The conduct and sustainment of counterinsurgency operations depends on the backing of the local populace, without which half of the battle is lost. Public buy-in is crucial for the elimination of insurgent groups and their base of support. This can be gained through a series of actions aimed at perception management and is categorized under information operations. While Clausewitz is not completely silent on the creative use of such operations in the event of war, he lacked in the relative depth of description for such operations. In contrast, Kautilya’s Arthasastra better describes the use of information warfare to influence the psychology of the target populace as well as the enemy. It proposes the use of a selected individual or a group to spread official information and, if required, to act as a medium of propaganda in the event of war in a given socio-cultural environment. This can be compared with modern counterinsurgency practices where special programs like “Operation Sadvabhna” were launched by the Indian Army in Kashmir or the dropping of leaflets by U.S. armed forces in Afghanistan as part of their endeavor to counter the narrative of the insurgent force. The structural construct of an insurgent force, its strength and lethality, dictate the composition of a counter-insurgent force. Unlike conventional warfare, the characteristic of an insurgency is nonlinear, for example the insurgents make effective use of local culture and the environment to drag the war beyond a conceivable period of time, causing a sense of fatigue among the counter-insurgent forces. Therefore, counterinsurgency forces must be trained to sustain the momentum of operations over a long period as the situation unfolds. One must remember that, in most cases, fighters, both in the government forces and the insurgent group, are drawn from within the national boundaries and the “enemies” are fellow citizens. For this reason, any counterinsurgency operation is a double-edged sword, bound to affect the psyche of the target populace and their immediate surroundings. To that effect, the counterinsurgency force must be well organized and each of its individual combatants has a role to play. The concept of a “strategic corporal,” coined by General Charles C. Krulak, has an important role in the context of modern-day counterinsurgency operations. The average soldier does not just engage with the insurgent force, but also has an added responsibility of perception management through an interpersonal relationships with the local populace. We can see, in hindsight, that Kautiliya had this sort of idea in mind. He emphasized having small bodies of the army that would act independently across a spectrum of operations that ranges from spying and influencing, to targeted killings. The lowest unit of his army consisted of 10 men under a commander called a Padika. In the modern Indian army, this commander is the non-commissioned officer or ‘havaldar’ that leads a section of 8-10 men in any counterinsurgency operation. Like a “strategic corporal,” this “tactical havaldar” is equally responsible for any after effects of a counterinsurgency operation. Hence, the Indian Army’s Doctrine on Sub-Conventional Operations clearly mentions its adherence to the ten commandments of the Chief of Army Staff and expects even the lowest ranks of its force to live up to them. In a counter-insurgent effort, direct-action special operations are meant to neutralize the key leaders of the insurgent group so as to weaken the movement. In the case of India, the counterinsurgency missions have an inherent component of counter-terrorist operations, that include cross-border raids by special forces teams to identify and destroy terrorist safe havens. These sorts of operations take place along the borders with Pakistan and Myanmar at frequent intervals, but the nature of engagement varies according to the terrain and the status of the bilateral relations. It is important to note the types of forces engaged in cross-border counter-terror operations are Indian military, while within the national boundary the operations are led by special armed police teams (also known as Central Armed Police Forces). This sort of special mission is described by Kautilya in his treatise in which he uses special teams for covert operations such as the targeted killings of rebel chiefs and key officials of the enemy king and for spreading misinformation to cause a rift among rebel groups. The Clausewitzian perspective of special operations is more strategic than tactical. Since his view is that war is always subservient to political ambitions of the civilian leadership, any decision that threatens the political stability or international standing of a country resides in a gray area beyond the list of conventional operations. This sort of situation is quite evident in a counterinsurgency operation, whether it’s a cross-border raid or neutralization of a top insurgent leader within the national boundary, and requires special missions approved by political leadership. The operational and doctrinal relevance of Kautilya’s Arthashastra and Clausewitz’s On War in today’s counterinsurgency operations remains firm and valid. In numerous instances, they provide us a template to analyze various aspects of a counter-insurgency operation including the use of local values and principles as a tool to understand the strategic culture of an adversary. It must be understood that the evolution of technology may improve one or other aspects of a counterinsurgency operation, but the core elements remain more or less the same and are diverse depending upon the region of conflict. The non-linearity and flexibility of an insurgency are such that it can exploit various means such as misinformation campaigns, religious and ideological differences, as well as enlisting foreign support to keep it alive during the conflict. Hence, rather than being rigid and restricted in how we think about the context behind the lessons of the ancient strategists, it is imperative that modern strategists learn and appreciate the overall essence of those lessons in order to improve our counterinsurgency strategies. Debasis Dash is an Asia analyst with a special focus on Indo-Pacific security affairs. He is a Strategic and Defense studies scholar in University of Malaya (Kuala Lumpur) and is researching on Indo-Pacific security architecture. ARTRAC (Indian Army). (2004). Doctrine on Sub Conventional Operations. Clausewitz, C. von, Howard, M., & Paret, P. (1976). On war (Reprint). Princeton University Press. Pg.117-118; Rosello, V. M. (1991). Clausewitz Contempt for Intelligence. Carlisle: US Army War College. Dula, M. M. (2011). An Uncertain Relationship: Special Operations and Clausewitz On War. Quantico: US Marine Corps Command and Staff College.